Onion pieces marinated in chickpea flour and spices. Onion, spinach, cauliflower potatoes marinated in lentil flour and spices. Golden crisp potato patties mixed with Indian herbs and spices served with mint, soy yoghurt and tamarind sauce. Crispy poori served with fresh potatoes onion and chickpeas, tomato sour and spicy chutney and soy yogurt. Golden crisp potato filled with Indian herbs, spices, fruits, and nuts served with special tamarind. Tofu covered with chickpea flour and selected spices and deep fried. Crispy poori served with tender potatoes cucumber, onion and puffed rice sev mixed with sweet and sour chutney. Small crispy poori served with chickpeas, potatoes, sour and spicy consomme. Small pieces of zucchini covered with chickpea flour and selected spices and deep fried. Tofu marinated with soy yogurt and selected spices and cooked in tandoori oven. Black lentils, kidney beans and shelled chickpeas cooked on slow fire, tempered with ginger, garlic, green chillies, tomatoes and garnished with chopped coriander. Lentils and moong dal cooked on slow fire, tempered with ginger, garlic, green chillies, tomatoes and garnished with chopped coriander. Yellow dal (without shell chickpea) cooked on slow fire, tempered with ginger, garlic, green chillies, tomatoes and garnished with chopped coriander. Kidney beans cooked on slow fire, tempered with ginger, garlic, green chillies, tomatoes and garnished with chopped coriander. Chickpeas cooked on slow fire, tempered with ginger, garlic, green chillies, tomatoes and garnished with chopped coriander. Lentils cooked slowly in an earthenware pot, tempered with ginger, garlic, green chillies, tomatoes and garnished with chopped coriander. Spinach cooked with ginger, garlic and onion with different spices and tomatoes. Tofu cooked with fresh puree of spinach, spices and tomatoes. Spinach and mushrooms cooked in a delicately flavoured sauce. Baby potatoes and fresh spinach prepared with onions, tomatoes and garlic. Tofu and peas cooked in a delicately flavoured sauce. Tofu cooked with fresh tomato, onion and coriander. Tofu cooked with korma sauce. Tofu cooked with fresh onion, capsicum and tomato onion ginger garlic sauce. 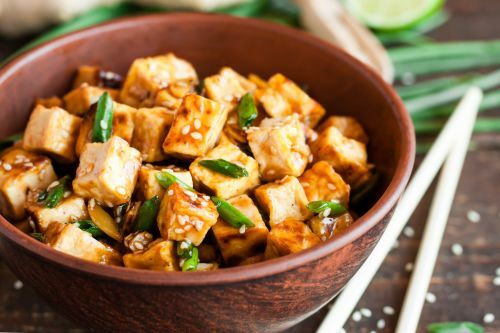 Tofu cooked with special sauce. Fresh mushroom cooked with fresh onion and special sauce and different spices. Mushroom, peas and potato made with special sauce. Potatoes and cauliflower prepared bhaji mother's style (a dry style curry). Potatoes cooked with cumin seed, special sauce, herb and spices. Okra cooked fresh onion, herbs and spices. Turmeric, chilli powder, tomatoes, garam masala and 8 more. Mixed vegetable tossed in ginger garlic onion and tomato sauce. Mixed vegetable tossed in butter and cooked in a rich cashew nut sauce. Fresh mixed vegetable dumplings cooked in a rich cashew nut sauce. Broccoli cooked with different spices and herbs. Smokey Eggplant cooked with fresh onion, tomatoes and spices. Vegetable soy chicken stir fired with fresh vegetables and spices. Vegetable soy lamb stir fired with fresh vegetables and spices. Cauliflower cooked with special honey and chilli sauce. Fresh beans and potato cooked with ginger, garlic and onion sauce. Specialty veggie lamb dish from Northern India cooked in rich gravy along with tomatoes and coriander. Typical Goanese style dish cooked in vinegar and other spicy spices. Pasta cooked with creamy sauce, mushroom and broccoli (India style). Saffron rice with exotic, dry fruits and nuts. Saffron rice cooked with chickpeas, desi chickpeas, beans, fruits and nuts. Homemade Indian ice cream from mangoes. Homemade Indian ice cream with pistachios. Carrot cooked with soy milk and sugar.